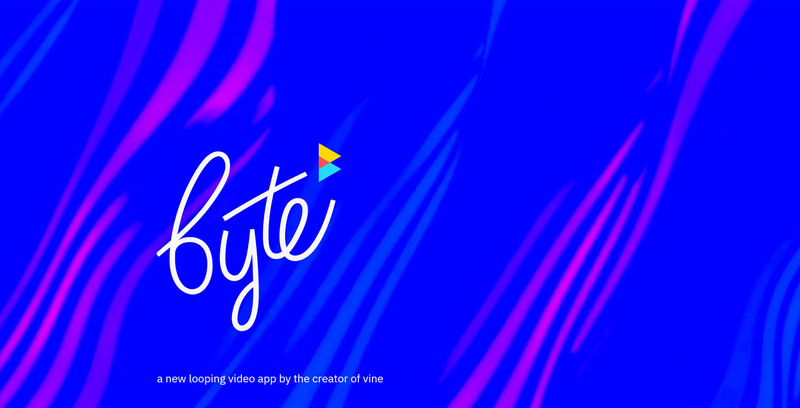 Vine co-founder Dom Hofmann has announced a spiritual successor to the popular short-form video platform called Byte. Set for a July 2019 release, Byte is currently in private beta for iPhone and an Android version will come later this year. While there are some similarities to Vine, Byte largely departs from the straightforward ‘tap-and-hold’ nature of its predecessor for something more ambitious. According to The Verge, Byte eschews the simple creation system of Vine for something more complex and powerful. Byte’s creation tool lets you add gradients, emoji, pictures from your camera, text, drawings and more. Byte also has a ‘soundtrack’ button that lets users make looping synths to play inside of creations. To create synths, users place emojis on a grid. Hofmann told the Verge that the soundtrack creator was designed to be forgiving and, unless you try, it’s hard to make something that sounds bad. Finally, Byte features a ‘computer,’ an app launcher within the app that allows users to pull a variety of images, text and memes into their creations. For example, users can access an app called Trendy to pull in news headlines, or an app called Drizzy for Drake-related quotes and images. Hofmann plans to open up a Byte API so others can make apps for it too. Once you make a Byte, you can share it within the app, which pulls double duty as a creation engine and social platform for hosting your creations. You can also share your creations to Instagram and the web, or just save it to your camera roll. Within Byte, you’ll have a feed where you can see other users’ creations. There’s also a ‘worlds’ section where you can browse themed collections of content, kind of like a subreddit. If you see a Byte you like, you can remix it as well, adding your content to it and scrambling what’s already there. On top of all this, Hofmann is toying with the idea to bring Byte to the third dimension with HoloLens or Oculus. Overall, it looks like an exciting project, and I can’t wait to test it out myself. Byte may not be the ‘Vine 2’ we always wanted, but it could be something bigger.